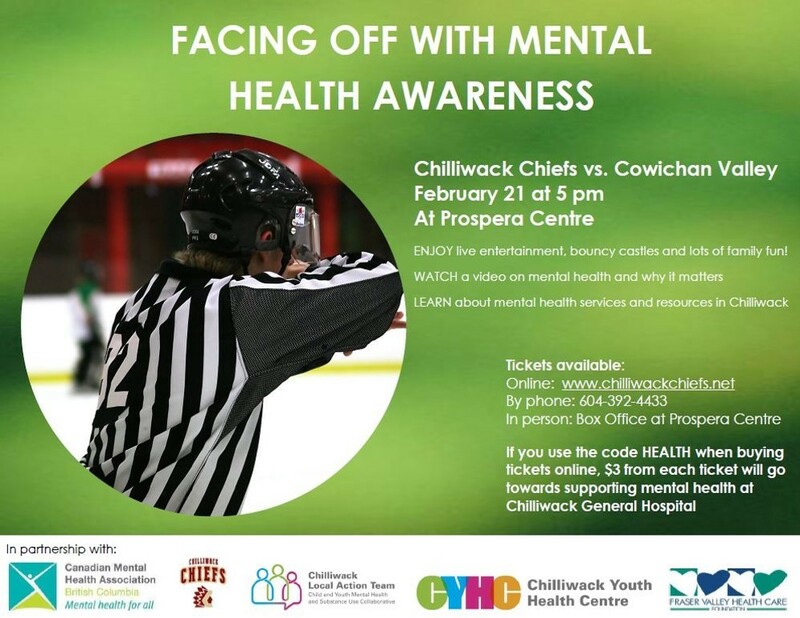 The Chilliwack Division of Family Practice has partnered with the Chilliwack Chiefs and a number of local and regional organizations for Mental Health Awareness at Sunday’s game. Agencies that offer mental health support and services will be at Prospera Centre with resources and information about what is available in our community. Youth from the Chilliwack Local Action Team produced a video about mental health awareness. Portions of the video will be shown Sunday, February 21st at the Chilliwack Chiefs game.